Pick a thickening shampoo and conditioner. Cut it at your shoulders or above. Do a little strategic teasing. Add a root lifter to your regimen. Ask your stylist for highlights. 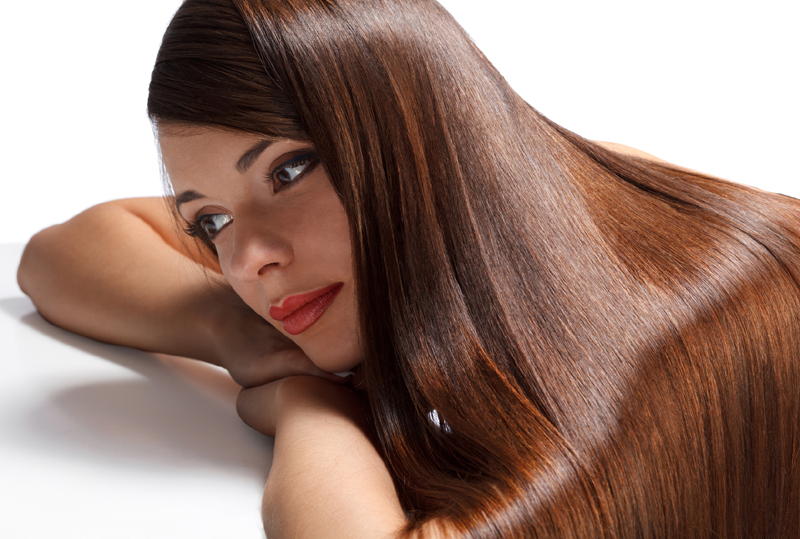 The more of your scalp you can see, the thinner your hair will appear. Fill it in a bit with eyeshadow or a coloring spray, like the Bumble and bumble. Hair Powder (sephora.com). Hold it out about 10 inches from your scalp and spray it onto your roots. Seconds later, voila! No more roots. Use a ceramic brush when you blow dry. Start taking supplements that benefit your hair. Use your dry shampoo in a whole new way. 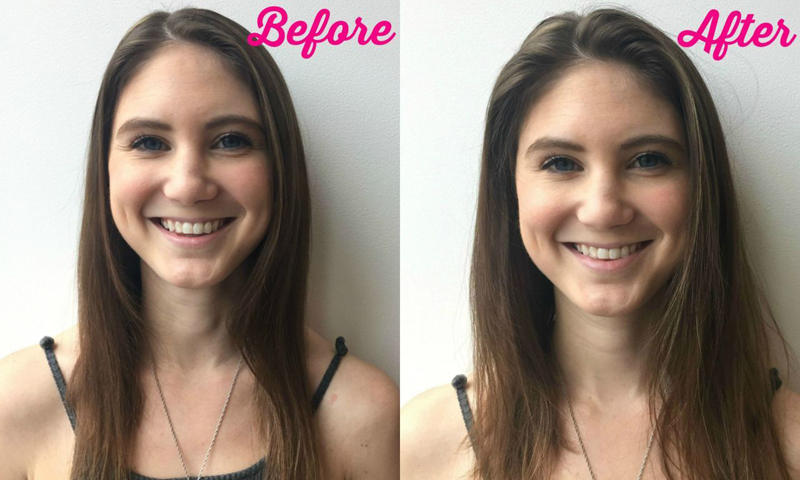 When applied by a pro, hair extensions are an effective, natural-looking way to make your hair appear thicker — as long as you go to a seasoned stylist who has a lot of experience with extensions, of course. But it's important to note that there's one big catch: the price tag. According to the experts at Angie's List, a set of extensions can cost you anywhere from $27that's a lot of dough to drop on your hair.